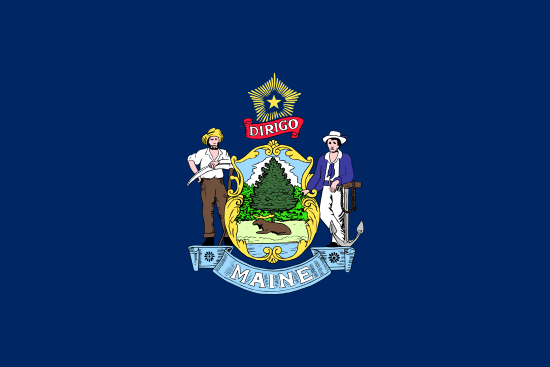 This write-up is all about wrongful discharge settlement amounts in the state of Maine. It is actually rare for great claims to go to trial, for the reason that they frequently reach settlement out of court. Most of these court cases consist of mixed settlements, which means that they involved 1, or a number of claims of unlawful termination attributable to constructive discharge, gender discrimination, workplace retaliation, breach of employment contract, race, color, national origin, religion discrimination or pregnancy. The table beneath presents an overview of the various types of claims filed and their specific quantities in the state of ME in 2017. Maine has one of the lowest number of wrongful termination and workplace discrimination filings in the country. It is actually the 3rd lowest. Because of this, it’s rather difficult to find trustworthy wrongful termination settlement amounts. Here are the ones we found. Jacquelyn Quint v. A.E. Staley Manufacturing Co.
Jacquelyn Quint worked for Staley Co’s potato-starch processing plant in Houlton as a warehouse worker and later as a press operator, which required strenuous physical labor. She developed wrist pain, and she was diagnosed with bilateral carpal tunnel syndrome. Her doctor ordered that she could perform only light duty work. After she returned to work, she was initially put into such a role, but soon returned to heavy duty labor. A series of letter exchanged between her and her employer followed, with several doctors examinations ordered by the company. Quint was fired after she failed to report at one of them. Gary Webber v. International Paper Co.
Gary Webber worked at the Bucksport mill as a project manager. He had a history of knee problems, an underwent several surgeries. This resulted in periods where he could not work. The company had self insurance, meaning that they paid all the medical expenses and salary continuance under the short-term disability plan. In June 2001, he was notified that his position was being terminated as part of company-wide layoffs. At the same time, his job became available at the company. In August, after Webber retained an employment lawyer in Maine, they filed a report at the Maine Human Rights Commission. It was after this, that the company contacted him to offer him a similar job at the same mill, but Webber refused. As you look through this catalog of wrongful firing settlements from Maine, keep in mind that the bigger sums are due to punitive compensation, which are brought to deter organizations from engaging in the same unjust conduct. Punitive compensation is especially infrequent. A large number of cases will settle for about $20,000 to just a few hundred thousand dollars. This directory of unlawful termination verdicts in ME is intended for informative purposes. Although you may feel similarity to any of these claims, don’t forget that every single situation is unique. It’s easy to understand that you would like to find out how much money you can expect to get for your wrongful dismissal lawsuit. In the event that you reach settlement, the figure you obtain is normally dependant on the following: reason of discharge, job search costs, lost wages, emotional distress, medical costs and lost benefits. Punitive damages could be awarded in rare situations, if the workplace acted egregiously. As you will observe from the example lawsuits above, presenting a median settlement for wrongful termination cases in ME is going to be difficult since every single claim is unique. The average wrongful termination settlement in Maine is between $4,000 and $80,000. Attorneys are certainly effective while working out a larger settlement. The typical jury awards are usually higher, between $80,000 to $400,000. This is certainly one of the reasons companies prefer to settle outside of court. If you believe you were fired for some kind of illegal cause, here are tips on what to do. To begin with, you’ll need to get in touch with a wrongful termination attorney in Maine to see whether you have a case worth going after. Ensure you don’t run out of time to submit your alleged claim, look into the Maine laws of limitations regarding wrongful termination. Secondly, you are going to most likely need to file a timely claim with the Maine Human Rights Commission or the EEOC in Boston.